Well behaved, clump forming bamboo ideal for any urban garden. 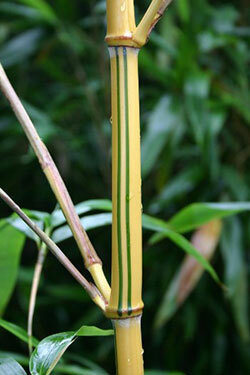 These bamboo are grown for their beautiful canes, coming in different colours from yellow or green or even black. Scotlands Mail Order Specialists in Hardy Bamboo Plants. The ONLY specialist bamboo plant supplier in Scotland. Mail order deliveries to the whole of the UK Mainland. Scottish Bamboo is a mail order plant nursery based in Aberdeenshire, Scotland and specialise in supplying hardy bamboo plants suitable for growing in cool climate gardens such as that of our own in North East Scotland. Scottish Bamboo can turn any temperate garden tropical with over 50 varieties of hardy evergreen bamboo plants for sale to choose from. Whether you want to buy bamboo for a hedge or screen, or buy a selection of bamboo in all shapes and colours to create a stunning tropical border, you're sure to find a bamboo plant that is right for you and your garden. 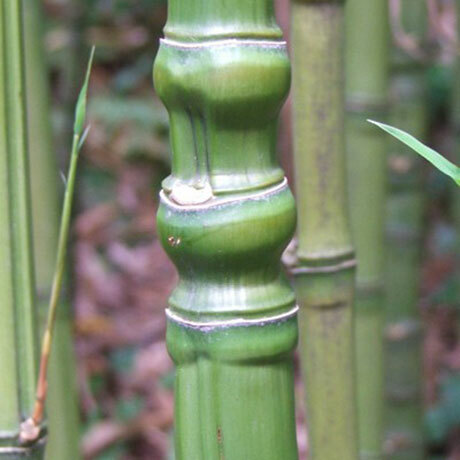 Bamboo come in many colours - black bamboo, golden yellow bamboo or even red caned bamboo. Browse our tall & specimen section for beautiful ornamental specimens or our ground cover & spreading bamboo section for a variety of screening & low spreaders. Still not sure what to choose then take a look at our Bamboo Guide to help you decide which bamboo plant is for you to buy. Bamboo plants work well in pots and containers, either on the patio for decoration or against a fence to create an ornamental or privacy screen. We recommend choosing one of the Fargesia varieties of bamboo for a container (such as Rufa, Murielae 'Simba' or Dracocephala) or one of the more compact growing of the Phyllostachys varieties such as Aurea, Aureosulcata 'Aureocaulis' or Nigra (black bamboo). Please be sure to read our Bamboo Uses guide to help you choose the right bamboo for your project. 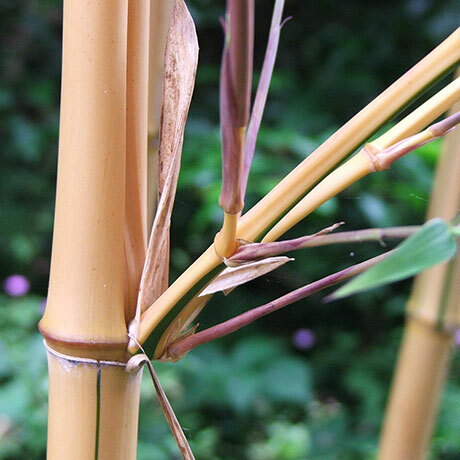 There are bamboo ideal for coastal locations, shady areas, damp areas and of course bamboo plants ideal for hedging and screening, those that grow large canes and small growing varieties ideal for ground cover. Bamboo is becoming a very popular choice for hedging and screening due to its hardy evergreen characteristics, fast growing nature and tropical look - it makes such a lovely rustling noise in the breeze - what a wonderful hedge. Our recommended hedging bamboo plants can be found in the Hedging Bamboo Section however most bamboos are suitable for most hedging projects. Here at Scottish Bamboo we have a selection of bamboo plants specially wrapped and perfect to give someone special as a gift they can watch grow, care for a cherish forever. Here at Scottish Bamboo we specialise in hardy bamboo plants ideal for growing in cool climate gardens. Based in the North East of Scotland we can ensure that all the bamboo plants we supply are extremely hardy and if they survive here then we are sure they'll do well anywhere else in the UK. 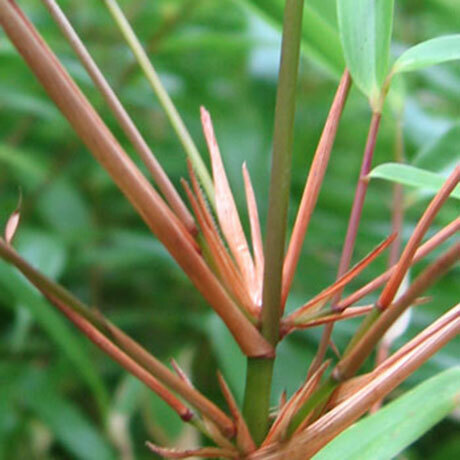 Scottish Bamboo is Scotlands only specialist mail order bamboo nursery and we deliver our hardy bamboo plants nationwide throughout the mainland of the United Kingdom. We pride ourselves in excellent packaging to safeguard your plants and use a next day courier service to ensure the plants are in transit for a minimal time. With every bamboo you buy from Scottish Bamboo you will receive our 'Bamboo Plant Care Notes' giving you planting advice and hints and tips on looking after your plants.